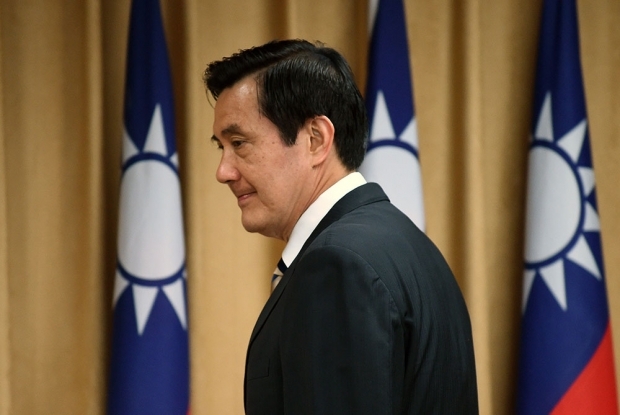 President Ma Ying-jeou attends the Mainland Affairs Council in Taipei last April. This week, China’s Taiwan Affairs Office stated that the presidents of the two countries would meet. This article was first published by Foreign Policy’s China channel, Tea Leaf Nation. For the first time in 66 years, the president of mainland China and the president of self-governing Taiwan will meet face to face. On November 3, Zhang Zhijun, minister in charge of China’s Taiwan Affairs Office, stated that China’s Xi Jinping would meet Taiwan’s Ma Ying-jeou in Singapore during Xi’s upcoming trip there. The historic encounter between the heads of mainland China and the island it considers a rogue province comes as a surprise, with Western media reports attributing the move to Xi’s confident and sometimes aggressive foreign policy—and to Ma’s last-ditch effort, as a lame-duck president in the last few months of his tenure representing an unpopular party, to burnish his legacy. Whatever the particulars, China’s state media clearly sees the meeting as a huge public relations victory. But in trumpeting the triumph, it’s had to walk a fine line. While outside media coverage has emphasized not just the meeting’s implications for cross-strait relations but also its effect on Taiwan’s polarized internal politics, often divided into pro-Beijing and pro-status quo camps, Chinese state media have almost completely avoided the latter—doing so would highlight the fully independent political system of what Beijing views as a rogue province. And while mainland media has portrayed the meeting as momentous, it’s also taken pains to show the encounter, however hastily announced, was not a surprise—which would imply that the relationship had previously been beyond Xi’s control. On November 4, the Global Times explained why Singapore was the destination selected for the meeting, explaining that the city-state had a special relationship with both the mainland and Taiwan and that if Ma were to visit Xi in Beijing, “some Taiwanese opinion” would criticize the selection as too deferential. But the article made no mention of why the meeting would not be held in Taiwan. In fact, a visit by Xi would most certainly arouse fierce opposition on the island, which just last year saw widespread protests against a trade deal that appeared too cozy with the mainland. The jubilant mainland coverage contrasted sharply with the strongly divided reaction within Taiwan after the news broke. The jubilant mainland coverage contrasted sharply with the strongly divided reaction within Taiwan after the news broke. Demonstrators staged a protest outside Taiwan’s parliament on November 4, expressing concerns that the Xi-Ma summit could damage the island’s democracy. As one protester told the Taipei Times, “What right does he have to make such an important decision about Taiwan’s safety and future” with approval ratings in the teens. The legislative caucus of the opposition Democratic Progressive Party, which many expect to win in the January election, condemned what it termed a “black-box” meeting, saying that the preconditions of “national need, public support, and legislative oversight” had not been met.